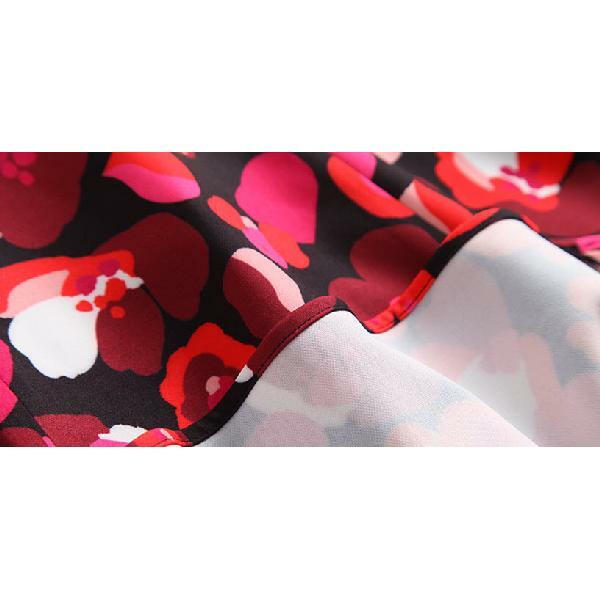 We love the colorful and fun print on this fit and flare dress from the Kate Spade AW 2015 collection. 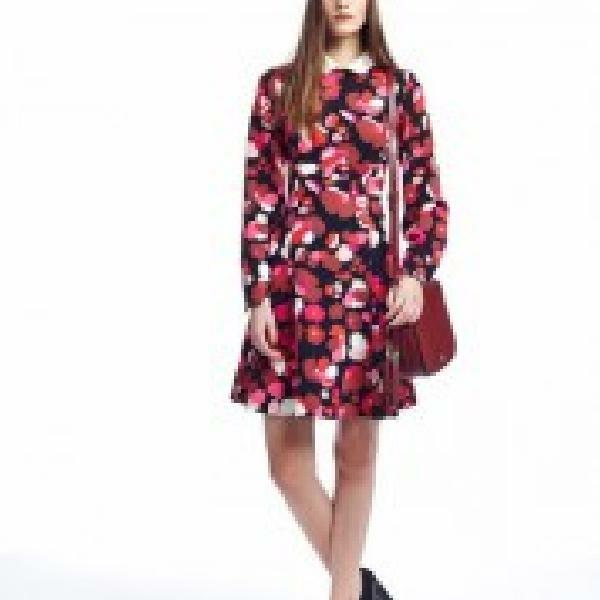 This Kate Spade New York floral print fit and flare dress features a colorful pattern with a contrasting Peter Pan collar. Long sleeves with buttoned cuffs, zip closure on back. Fabric: Made of 100% mid weight polyester fabric which does not wrinkle. Size 0: bust 34″, waist 27.5″, length 34″, sleeve length 24″. Size 4: bust 35″, waist 28.5″. Size 4: bust 36″, waist 29.5″.